For the girl who has everything, I’ve pulled my must-haves for the girl who’s always got your back. Office stationary, notebooks, statement jewelry & cosmetics or a fun, cozy polka-dot sweater… there’s ALWAYS something sweet to put in her stocking for Christmas morning! 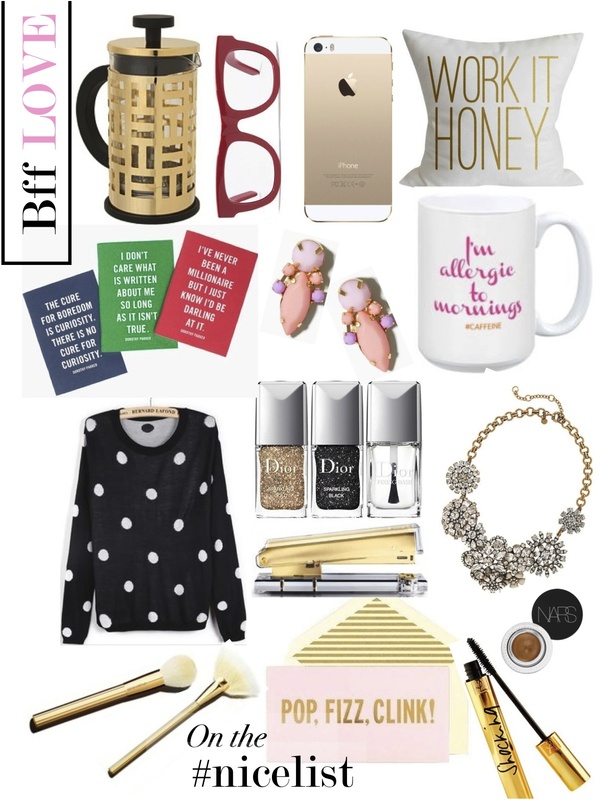 Click around to find something fitting for your besty(ies) – Santa’s only a few sleeps away! !